It’s completely natural to feel nervous about taking your driving test. You won’t have your instructor by your side to guide you on the day and the very nature of the test will make you feel highly scrutinised at all times. The pressure can often prove too much, which is why it’s not uncommon for people to fail their first, second, or even third test before finally passing! However, passing first time isn’t impossible: it just requires preparation, focus and calm. Each time you fail your test could set you back weeks, if not months. Tests can be tricky to book at a suitable date and time, and the lessons needed in-between will add further to the cost. It can often be extremely tempting to just take a set number of driving lessons and then immediately apply for your driving test. However, this is an ill-advised plan that likely will end up costing you more time and money in the long run. Learning to drive isn’t an overnight process. It takes investment, hard work and repetition for safe, confident driving to become second nature. How much time? Everyone is different, but on average approximately 50 hours of lessons will be a definite step in the right direction. Of course, each lesson will cost money and they do add up. However, you’ll be glad you paid for them when you’re not continually paying to retake your test! 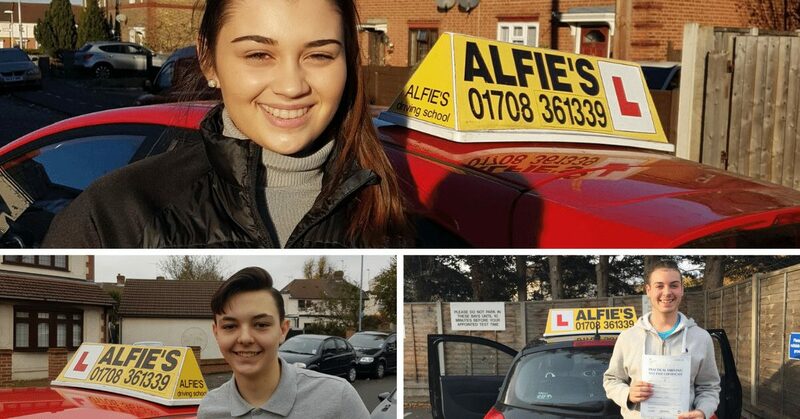 The added benefit of all those lessons is that you’ll also be more likely to pass first time and become a safe, responsible driver. Before you can take your driving test, you must pass a driving theory test. There are a variety of books, DVDs and apps that will help you to prepare for this test and pass with flying colours. However, you shouldn’t stop practising once you pass this test. It may be several months before you take your driving test and believe it or not, the Highway Code actually does matter! Knowing it inside out will help you to read signs and the road more effectively, in turn making you a better driver during your test. Many people are caught off guard during their driving test by the simple vision test that occurs at the very beginning. The examiner will point to a car approximately 20 metres away and ask you to read back the licence plate number to them. You’ll only get three attempts to get this right, otherwise you’ll receive an immediate fail. However, you should be aware that if you wear glasses or contact lenses when taking this test, you’ll be required to wear them at all times when driving a vehicle. Of course, if you need them at all times anyway this won’t be a problem. However, if you only have a very light prescription and don’t intend to always drive while wearing corrective lenses, make sure to take them off for the test – but only if your eyesight is good enough! This is the simplest tip, but also the most important. You can be the greatest driver in the world and know your Highway Code off by heart, but without practice you’re guaranteed to make small mistakes that will add up during your driving test and could result in failure. Remember to keep checking your mirrors, signal where necessary and manoeuvre safely at all times. Once you can observe the roads and traffic around you while avoiding such small mistakes, you’ll be truly ready to take – and pass – your driving test.